With Zinedine Zidane back at the helm, Real Madrid can look forward to the summer with a bit more hope and optimism. The manager with the Midas touch has returned, and with it, memories of Champions League glories. Suffice to say that this season has been a complete write-off for Los Blancos, with a humiliating exit in the Champions League to Ajax coupled with being completely off the pace in La Liga. But with Florentino Perez seemingly indicating that it is time for Madrid to bring back the 'Galactico-level' marquee signings, the summer transfer window could be one of the biggest in recent years at the Santiago Bernabeu. Below is a look at the numerous attacking targets linked with a move to Madrid, and subsequently ranked in order of how well they would fit in with the glitz and glamour of one of European football's most successful clubs. Harry Kane at ​Real Madrid? It just doesn't feel quite right does it? The England captain has been arguably the Premier League's best striker in recent seasons, so he would unquestionably be confident of finding his goalscoring boots in Spain. But taking a step back, and trying to imagine the Tottenham star in the white of Los Blancos saying 'Hala Madrid' like former Spurs man Gareth Bale seems a bit more fantastical. The 25-year-old comes across as very humble and respectful, and for all of Madrid's greatness, those two traits are particularly down the order. ​Kane is adored by the Spurs faithful, who proudly call him 'one of our own', and it is understandably difficult to see that kind of feeling being replicated at the Santiago Bernabeu. The ​Liverpool winger has enjoyed his best goalscoring season at Anfield, and delivered the moment of magic at the Allianz Arena to set the Reds on their way to a Champions League last 16 triumph over Bayern Munich. The Senegal international is blessed with blistering pace and quick feet, and would no doubt represent a real throwback to the counter-attacking days of a fully-firing Cristiano Ronaldo and Gareth Bale. Perhaps the one thing missing from Mane's game is a consistency, and that may be one of the reasons why Madrid look elsewhere. The former Southampton star has a tendency of going on hot streaks in front of goal, before seeing his form fizzle out for a number of ​games. Consistency is one of the big criticisms of Bale, and it could well be with Mane at Madrid too. Having recently signed a new deal at Liverpool, who are back among Europe's elite, it would take a monumental effort to prise Mane away from Anfield too. Perhaps the most technically gifted player on this list, ​Paulo Dybala has proven year in and year out in the Serie A to be one of the finest forwards in the game. The Argentine however has found himself flitting in and out of the team this season, what with the arrival of ​Cristiano Ronaldo, and has struggled to either displace the Portuguese star or Mario Mandzukic from the starting line-up. Dybala has never really been the leading number nine, often dovetailing as either a second striker or as a more conventional no.10. Going by Madrid's recent tactical preferences of a 4-3-3, it's difficult to see the 25-year-old fitting in seamlessly, and would more than likely have to play from the right-hand side. The most prodigious young talent in world football, were Florentino Perez and the Real Madrid hierarchy able to lure Mbappe to Spain, it could prove to be one of the most decisive moments in European football this decade. At just 20-years-old, the Frenchman already has the world at his feet, and is surely a shoo-in for multiple Ballon d'Or awards in the future. With reports suggesting Karim Benzema may finally leave the Santiago Bernabeu at the end of the season, Madrid will most definitely be on the look-out for a starting striker. And they could do worse than bringing in ​Mauro Icardi from ​Inter. The former Nerazzurri captain proved at San Siro that he could handle the expectations of being the side's star man and saviour, and at Madrid, that experience could prove to be vital. The Argentina international has been a prolific goal-scorer in his time in Italy, and won Serie A's Footballer of the Year award last season. With all the off-the-pitch controversy surrounding his wife and agent Wanda Nara, Icardi just seems like the perfect fit for all the political tensions that often encompass Madrid. A match made in heaven. A ​Premier League winner at Chelsea, Eden Hazard has been the cornerstone of the Blues' success since his arrival from French side Lille. The Belgian superstar has had to virtually single-handedly carry Chelsea's attack - particularly this season - and would no doubt relish the responsibility of being a key figure at Madrid. However, if things do begin to go wrong, or the 28-year-old suffers a rough patch in form, would he be able to handle the pressure-cooker environment at the Bernabeu? The Belgium international is treated like a king at Stamford Bridge, but at Madrid, the fans are far more expectant, and with much shorter memories. If the Los Blancos faithful get on his back, could ​Hazard rise above it? It may be a difficult one to answer, but it is undeniable that he certainly has the footballing ability to do it, and that after all can be the most defining factor of them all. Everything about this potential transfer just feels right. The fact that he played at ​Barcelona, and would then happily wear the white and gold of Madrid would just echo the poignant days of Luis Figo. 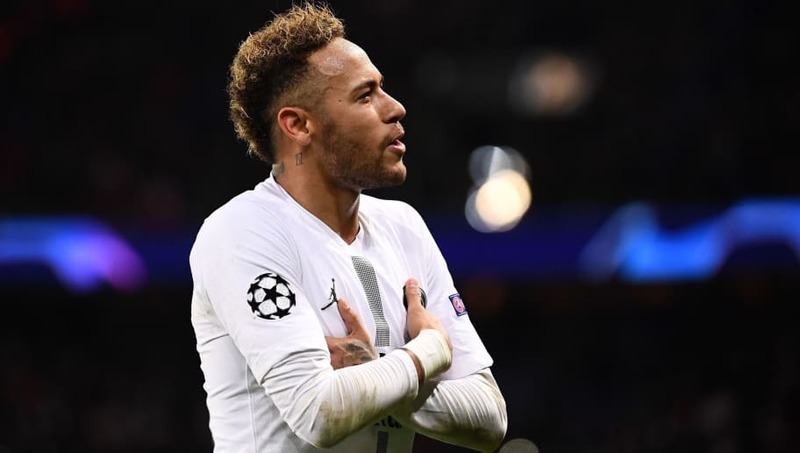 Neymar (and his father) have made no secret of appreciating Los Blancos' attempts to sign him, and in a potential £300m deal, would represent a world record transfer fee and symbolic return for Madrid as global superpowers in the market once more.